In the region of Dalmatia on the Adriatic coast there is a small pearl called Split. The city, which was originally developed around the Diocletian’s palace, has a very long history and many things to show. Today, Split is the largest Dalmatian and second largest Croatian town, and one of the few 1700+ year old cities in Croatia. 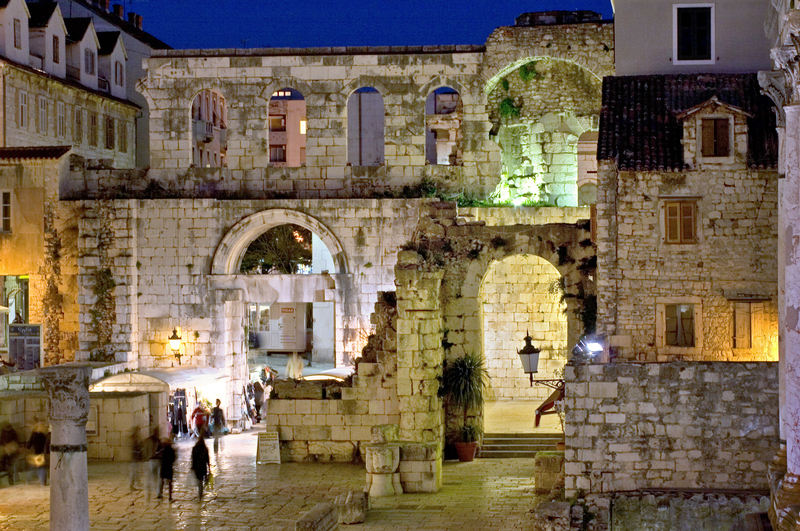 What makes Split the famous place is the Diocletian’s Palace , the best preserved Roman building in the world , which is under UNESCO protection from the year 1979. It is interesting to note that the palace is not a typical palace because today people are actually living in it. It has four monumental gates: Porta Aurea ( Golden Gate), Porta Argento (Silver Gate), Porta Ferrea (Iron Gate) and Porta Aenea (Brass Gate). 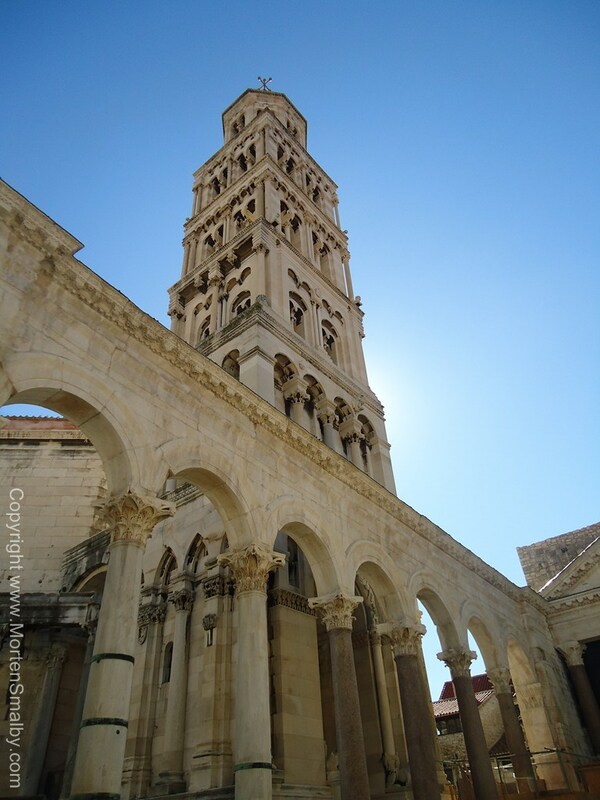 Then there is St. Duje ‘s cathedral, originally built around 305 AD as a mausoleum of Roman emperor Diocletian. It is the oldest cathedral building in the world. One also must see the Peristyle square (latin: peristylium) – the main square of Diocletian ‘s palace with well preserved Roman architecture (for instance, the Jupiter ‘s temple: an ancient Roman temple which became St . John’s church, and two original Egyptian sphinxes). And if you go down through the cellars of the Palace you have access to the sea on the Riva (Split’s waterfront) the main city promenade rich with social life and often the spot where various “happenings” are held. The Ghetto of Split is much like a labyrinth of old, narrow streets where you will find small cafes, bars, souvenir shops, restaurants and many other things…. 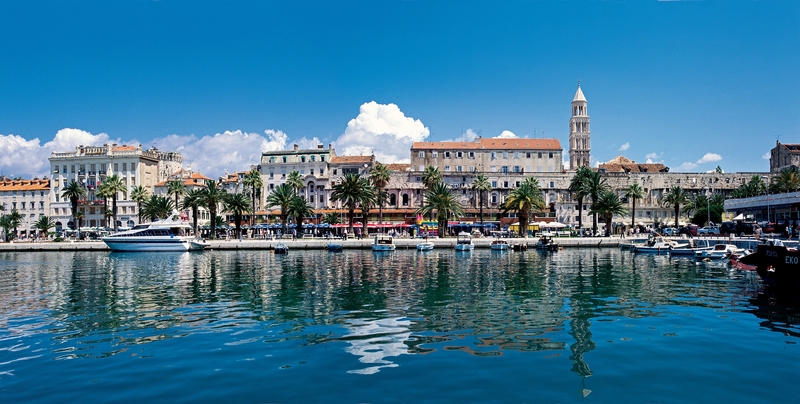 If you never drank coffee on the waterfront Riva promenade we automatically know you have not even been to Split. It’s a must do for all tourists and locals alike. 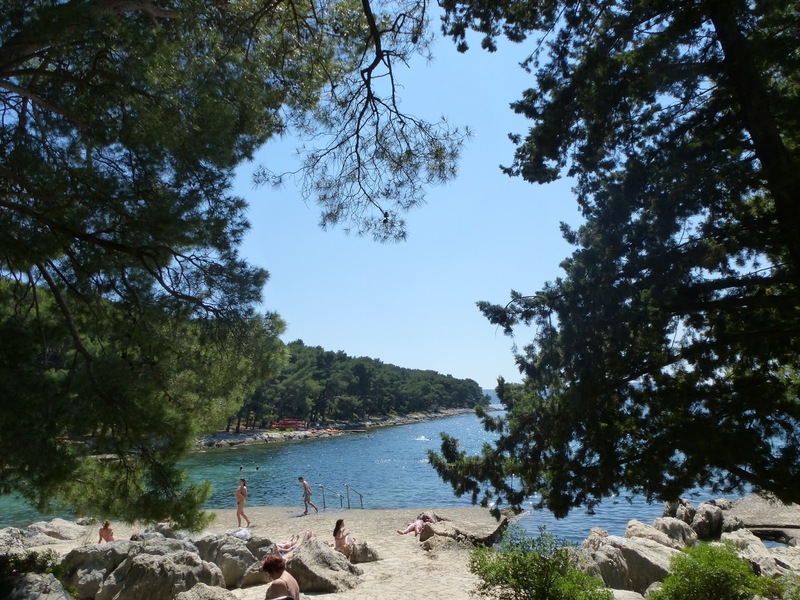 In addition to all the other attractions that you need to visit in the city center, not far to the east is the famous sandy beach – Bačvice. Bačvice are well known as the THE place to play Picigin – a famous local game. On the other side of the city, to the west, is the Marjan Hill. Marjan is an oasis for many people who are looking for natural stress relief – a great place for long walks, jogging, and bike rides. You want something colorful and exciting – by all means visit the Green Market (called Pazar by the locals) – where you get to know the lifestyle of the people of Split. Split truly comes alive in the summer – from June until end of the September the whole city turns into a large open party stage. Once you get to experience all that this city has to offer and get to know its passionate and friendly people, you’ll fall in love forever! Tags: Croatia, Hotel Marmont, Mediterranean, Split, Tourism, Waterfront | Permalink.